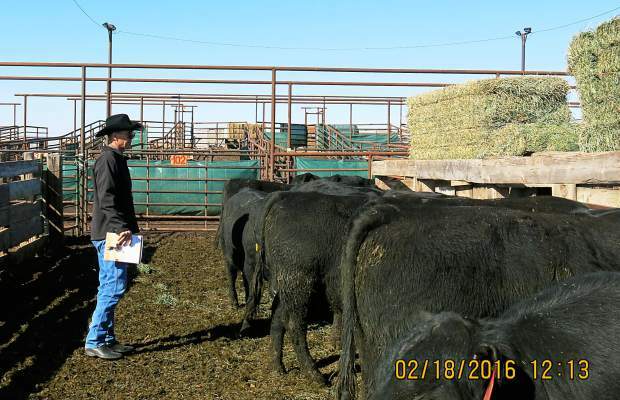 Dave Shippy shops for new bulls. A nice crowd gathered in Belle Fourche for the Neiman Cattle Co. Annual Bull Sale. 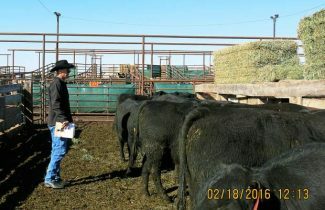 Joe Gantz check out the bulls before the sale. Lot 33, NCC Open Range 401, rang the buzzer at $8,500 heading to Gillette, WY with James Hall. Sired by Sinclair Open Range 2Q23 this bull posted EPDs of BW -1.9, WW 35, YW 60, and Milk 18. He was 76lbs on 3/2/14 at birth and 652lbs on the Adj. WW. Lot 1, NCC Full Bore 405, sold for $8,000 to Neal McCoy of Belle Fourche, SD. 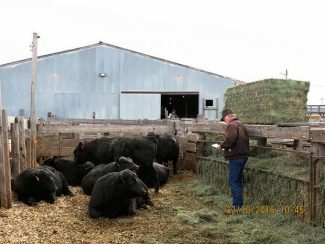 This Cole Creek Full Bore 730 son recorded EPDs of BW 0.6, WW 42, YW 75, and Milk 21. He was 92lbs at birth on 3/8/14 and 704lbs on his Adj. WW. Also selling for $8,000 was Lot 3, NCC Full Bore 4269, to the Livingston Ranch of Sundance, WY. Sired by Cole Creek Full Bore 730 this bull was 80lbs on 5/5/14 at birth and 701lbs on his Adj. 205. He records EPDs of BW 0.6, WW 48, YW 90, and Milk 26. Lot 8, NCC Full Bore 4301, also sold for $8,000 to Minnesela Cattle Co. of Belle Fourche, SD. Another son of Cole Creek Full Bore 730 that posts EPDs of BW 2.1, WW 42, YW 79, and Milk 22. He was born 4/10/14 at 83lbs and was 641lbs on his Adj. 205. 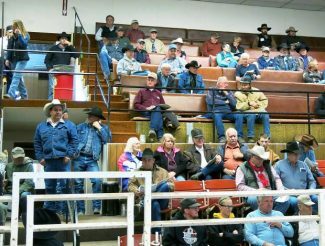 4 more bulls sold at $7,750.